Lieutenant General Chenicheri Satish Nambiar was the first Force Commander and Head of Mission of UNPROFOR, the United Nations Protection Force in the former Yugoslavia during 1992-93. In his long and distinguished career General Nambiar (retired) was a part of the Indian Army Training team in Iraq 1977-79. 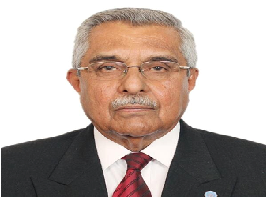 During 1983-1987, he served as the Military Adviser at the High Commission of India, London.He was also the Director General of Military Operations. 70 Years: Is There a Future for UN Peace Operations Given the Hypocrisy of the International System?